Finally the results are out! As expected, the Fenil’s Half Yearly Awards has yielded great results with lot of people coming in hordes to vote. A big thank you to all the people who took out time to not just vote but also talk about it and to also recommend to their movie buff friends, colleagues and acquaintances! Now to the results! It was an unpredictable situation in certain categories and the clear winner was difficult to anticipate till the last day! In few categories, the winner was clear. Raazi emerged victorious in 4 categories – Best Film, Best Director and Best Actor in a Leading Role (Female) and Best Lyricist. For Alia Bhatt, this is the second consecutive victory as she won in the last edition as well, for Udta Punjab! 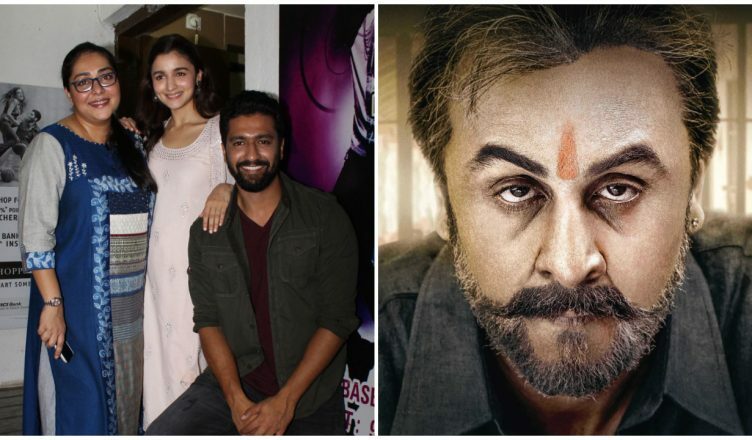 She along with Ranbir Kapoor and Vicky Kaushal for Sanju were clear favourites from first day itself in Best Actor in a Leading Role (Male) and Best Actor in a Supporting Role (Male) categories respectively. In Best Actor in a Supporting Role (Female), Radhika Apte was defeated by Gitanjali Rao by just 2 votes! Similarly, in Best Music, Shankar-Ehsaan-Loy would have won if it had got 5 more votes. It was defeated by Sanjay Leela Bhansali’s Padmaavat which scored only in the music departments and got 3 awards. In Best Debut (Female), Anuja Sathe bagged 52.98% votes, the highest %age of votes won by anyone this year. The much loved performance of Banita Sandhu in October got just 18.21% votes. A shocker was also seen in the Best Music category as well wherein Baaghi 2 failed to get even a single vote! All those who wish to confirm whether the winners and percentages are true and not rigged/cheated can do so here! To conclude, I would again like to thank each one of you who helped in making these awards successful as I wanted it to be! I hope you guys had lots of fun in voting and also in checking out the results! Many surprises sprang up which I didn’t expect at all. These awards have indeed helped in giving a clear idea about people’s tastes and have cleared all assumptions regarding the same! We’ll be back next year for sure and I promise it would be bigger and better! Till then, keep visiting my website for all the latest news, gossips, and lots of interesting stuff! P.S. : Blackmail and Parmanu are not the first films of Anuja Sathe. She appeared in a very small role in Bajirao Mastani. But we decided to mention her name in the nominations since she had a very tiny role in the 2015 period drama and it was in Blackmail and Parmanu where she had a crucial role and hence it was her debut of sorts.